Here’s a scenario: You try a fundraising event. And, it failed. Or, at least it didn’t work out the way you had envisioned. Maybe there were too few participants. Maybe the fundraising result wasn’t what you expected. Maybe it went over budget. Maybe you used the wrong assumptions or benchmarks when you made your projections or set expectations. Or maybe “all of the above”. Do you give it a second chance? If not, why not? A wise person once said, the only failure is in not trying”. 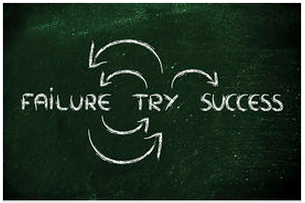 But, is trying once (and failing once)…even considered “trying” at all? Chances are, the problem that caused the failure is something specific…something that can be fixed or fine-tuned. And, once that’s done, the event will be successful. Makes me think of another famous expression: “Don’t throw the baby out with the bath water.” Don’t throw away everything because only a part of it wasn’t good…especially if you only gave it only one chance to succeed. Real ‘failure’ is not taking the time (and the opportunity) to do a proper assessment…to understand exactly what failed. 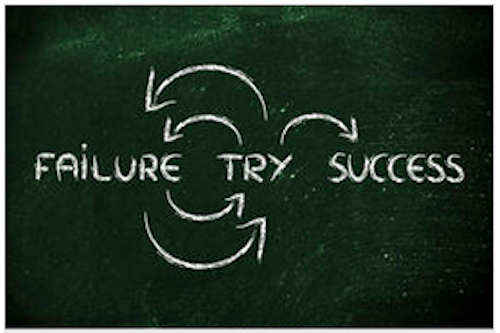 Real ‘success’ is learning from the failed attempt…and sometimes, it’s giving it another try.